In a small bowl, combine the eggs and milk. Set aside. In another larger bowl, combine the flour with 1 TB of garlic salt and 1 TB of lemon pepper. Set aside. Pour oil to a depth of 1 inch into a heavy frying pan or electric skillet; heat to 350 (med to med high). 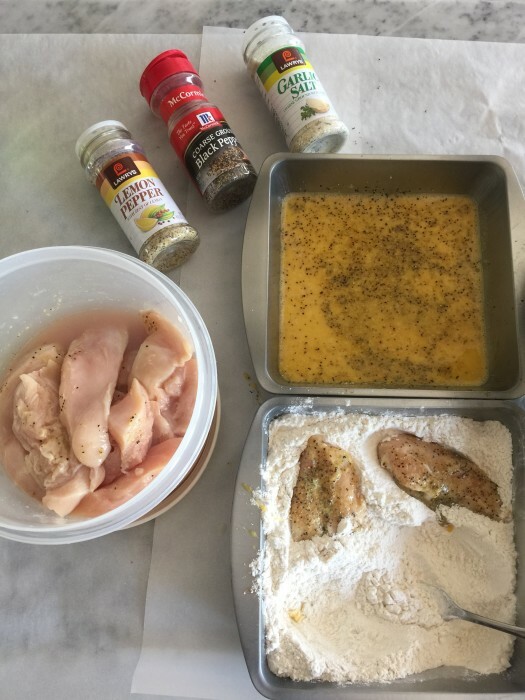 Season chicken with salt, pepper, garlic salt and lemon pepper. 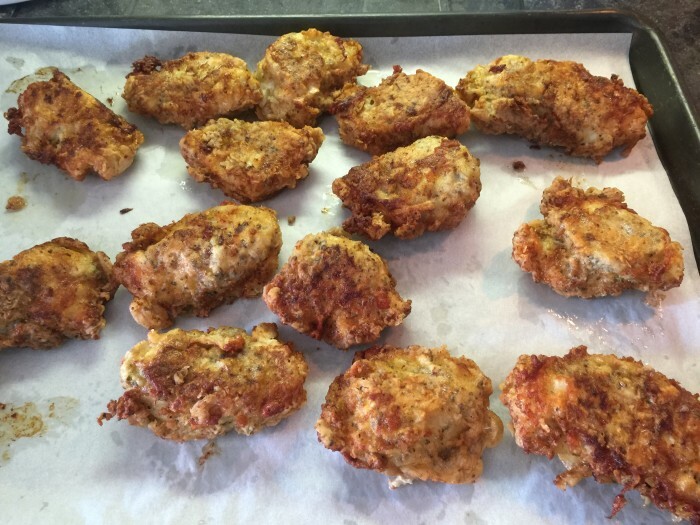 Dip into egg mixture, and dredge in flour mixture, coating chicken well. 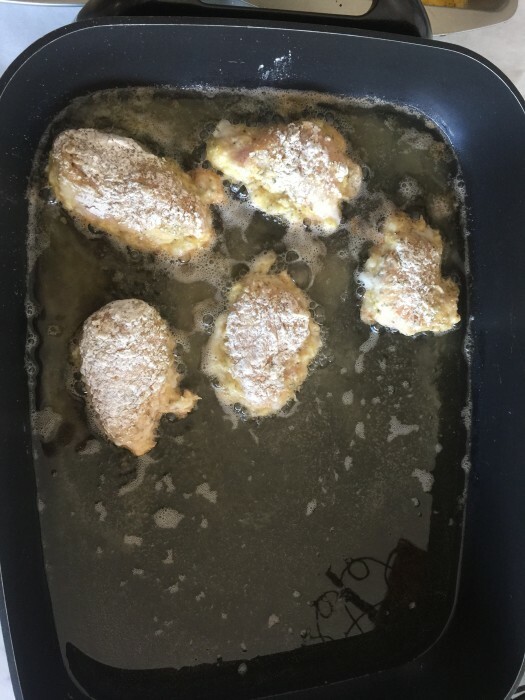 Fry chicken in hot oil over medium heat 15 to 20 minutes or until golden, turning occasionally. Remove and drain on paper towels.